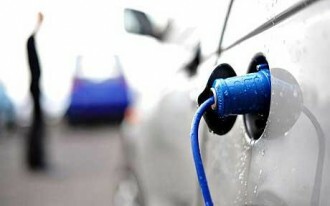 Do you know how to improve the effective driving mileage of a DIY electric car? Generally, a homemade electric car has a driving mileage of approximately 50 miles before it has to be recharged. That is not a lot, isn’t it? Effectively, you can only use your DIY electric vehicle (EV) and drive to places about 25 miles radius from where you are. The balance 25 miles are needed for you to drive back home…well, unless your desired destination allows you to plug in and recharge the batteries overnight. Battery power efficiency is a major concern for pure EV owners and keeping in mind a few steps is worth considering. Irrespective of the kind or make of vehicle that you have converted, there exist a handful of measures which if adopted can easily help to enhance the usage of battery more efficiently. Essentially, these measures are neither too costly nor too difficult to comprehend or implement and in no way involves any replacement of new super efficient deep cycle batteries or other equally complicated energy efficient electric motor. In fact one such solution is as basic as getting to lower the effect of both friction and load within the vehicle. This is because higher the value of either the friction or the weight, greater will be the discharge rate from your battery bank. Firstly, let us consider the aspect of weight and how it can affect the consumption of power in an electric car. A reduction in weight need not involve any cutting torch or drilling measures on the body of the vehicle. Basically, two types of weights are given due consideration here, they are the sprung weight and the un-sprung type of weight. In case of sprung weight, it refers to the weight that is borne by the suspension of the vehicle and encompasses the different parts of the EV such as the body of the vehicle, the chassis, the interiors of the vehicle as well as the electric motor and the central body. Although getting to reduce weights in such sprung weight parts are rather challenging, these are not impossible. Doing a proper scrutiny of the “pack rat” kit that practically cartloads a whole range of things one would need in a vehicle and removing many of the unwanted stuff that one can well avoid carrying often helps in minimizing vehicular weight. The second measure that helps to extend the driving mileage of your DIY electric car is that of maintaining a well-cleaned and efficient vehicle. It makes sense to ensure the rules of through clean-up of the various vehicular parts such as chassis, undercarriage, the electric motor etc. Using a pressure washer to wash your car at regular intervals is a good way to reduce the weight gathered by filth and grime. But remember, do not get your battery bank, controller or the electric motor wet! The tendency of the vehicle to pile on tar, dust and mud particles adds to the weight of the overall vehicle and the only way to cut this down is by regular cleaning. Although the weight reductions observed in sprung weight do help in economizing the battery usage, saving power is found to be much greater in the un-sprung version. Let us now take a look at the various parts included in the un-sprung weight of your electric vehicle. These include the axle weigh, the wheel weight and the fitted tires. Power discharge from your batteries gets relatively higher with larger-sized tires that are wider in type. In fact it is in this area that even a minimal weight reduction can make a marked difference in your mileage. By using light weight customized wheels rather than the factory outlet variants, many electric vehicle owners have found to be at a greater advantage on battery efficiency.